I have a fun & quick Valentines Day DIY today! 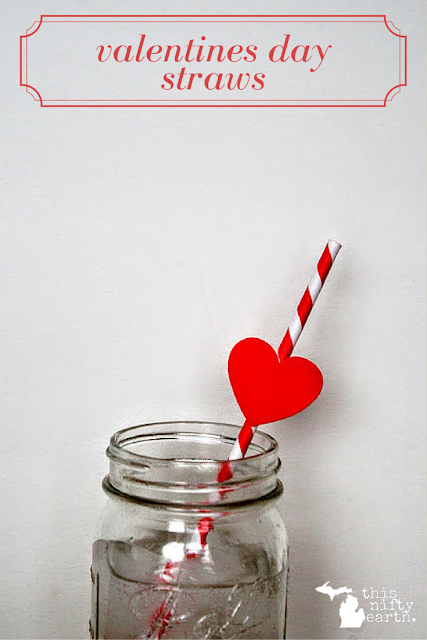 It's simple, but will add a fun element to your Valentines Day table setting. All you need to do it remove the strip on the back of the adhesive and stick the heart to the straw. Fill the Mason Jar with your favorite drink and set your table! I loved working on this post because I was able to use up some items that I've had in my craft stash. These adhesive foam hearts are from the dollar store and the straws? STILL left over from my wedding!